Crown Brakes are leading Exporter and manufacturer of Mild Steel Semi Tubular Rivets for Brake Linings. Crown Brakes is engaged in offering a wide range of Automotive Rivets. Our Rivets are as per DIN / BS / JIS standards or as per customer specification. 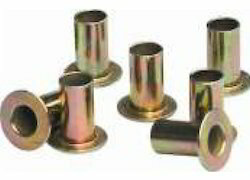 We have complete range of rivets for brake linigns. 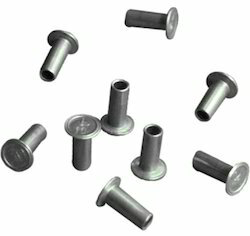 We are one of the leading manufacturers and Supplier of Mild Steel Rivets. These are made using steel, which ensures durability and high performance. We are one of the well-known manufacturers and suppliers of Metal Automotive Rivets. 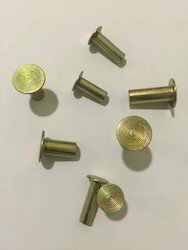 The offered automotive rivets are highly acclaimed and appreciated by the clients, due to the optimal tensile strength and long lasting service. Looking for Automotive Rivets ?